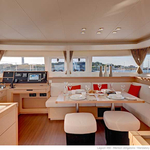 Kaus Australis (Caribbean BVI) is a name of yacht Lagoon 450 ,which was produced in 2015. 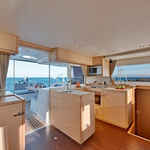 Kaus Australis (Caribbean BVI) is equipped with 12 berths. 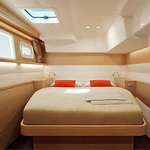 Berths on the vessel are configured in 12 (8+2+2) scheme. 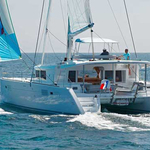 4 cabins are placed inside the sailboat Kaus Australis (Caribbean BVI). 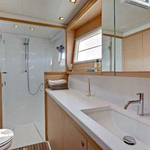 Passengers can feel satisfied on this sailing boat , because there are 4 bathrooms for their disposal. 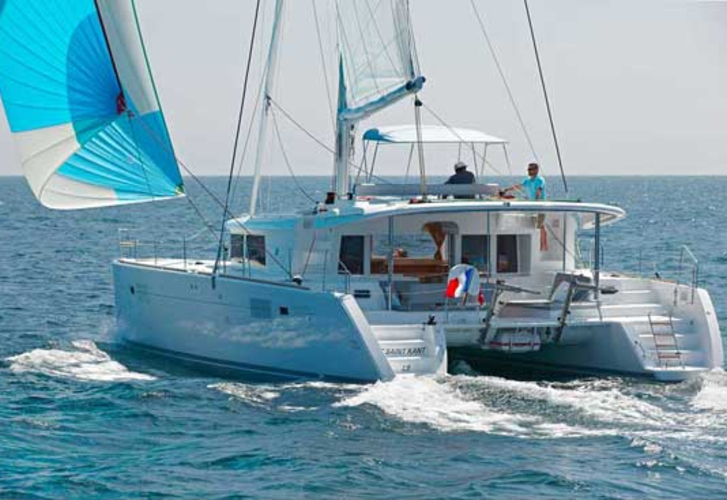 With 1000.00 l l. in tank for fuel you can sail really far and still be independent because of 350.00 l l. in water container. 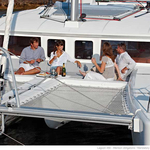 Yacht's dimensions are: LOA - 13.96 meters , width - 7.84 m and 1.30 meters of depth. 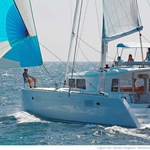 On the sailboat there is following equipment: First and last night in marina free of charge. . Security deposit is 5000.00 EUR.